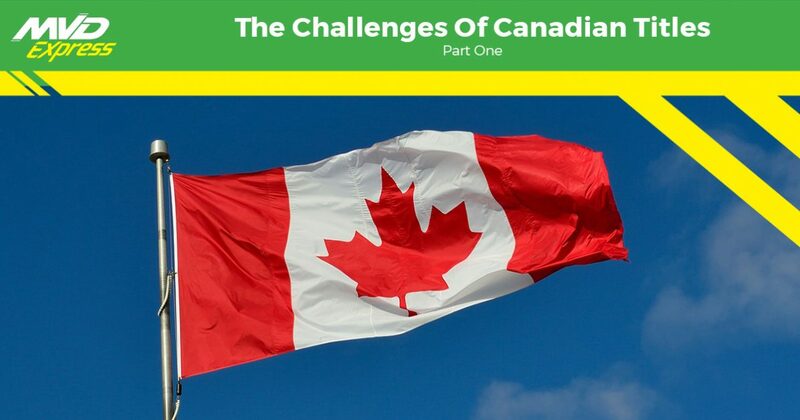 With Montana being so close to the border of Canada, we often hear of the struggles people go through as they try to transport a Canadian vehicle to Montana. At MVD Express Montana, we specialize in working with car dealers from both Canada and Montana to transfer the titles they need for their vehicles. We strive to provide you with personalized service and fast processing times so you’re not stuck waiting hours in long lines. If you have any questions about the MVD services that we offer, don’t hesitate to contact MVD Express Montana today! Transferring the title of a Canadian vehicle in the United States doesn’t have to be a hassle. If you have all the paperwork completed at the time you want to transport the vehicle across the border of Canada and Montana, your job will be much easier. In part one of this multi-part series, we will talk about a few of the documents that you will need before you transport your vehicle. Once you’ve finished reading, if you have any questions, contact MVD Express Montana and one of our friendly staff members will be more than happy to help you out. Before you transport Canadian vehicles across the border of Montana, you must ensure that the vehicle passes all the necessary standards. Cars built in the United States are specifically made to meet the required safety and emissions standards. Unfortunately, not all Canadian vehicles meet these requirements. If you are planning on importing a vehicle that is less than 25 years old, you must ensure that it meets the requirements, but, if the vehicle is more than 25 years old, it is exempt. In order to prove that your vehicle has the necessary requirements, you will have to submit all of the appropriate conformity documents to the National Highway Traffic Safety Administration for approval. This may include photos. Once you have completed the documents, you will need to submit a MV100 (Statement of Fact) form that states you have sent the appropriate documents to NHTSA. Once you have purchased the vehicle that you wish to take across the border, it’s important that you obtain the necessary registration receipt. In order to successfully import your vehicle to the United States, you need to have proof that you are the owner of the vehicle, which is where the Canadian Registration Receipt comes into play. You will have to present this receipt to the U.S. Customs and Border Patrol (CBP) as you cross the border. Ensuring that your vehicle passes the necessary safety and emissions standards and obtaining a Canadian registration receipt are only the first two steps that you need to take to successfully import your vehicle. The next step is to have the registered importer fill out a variety of forms. These forms include the Entry Summary, Declarations Page, Statement of Conformity, and more. It’s important that the registered importer fill out these forms prior to reaching the border if you want to save yourself some time. These are just the first couple steps you need to take in order to import your Canadian vehicle to Montana. At MVD Express Montana, we proudly offer a variety of MVD services to make your trip to the MVD a little easier. We also offer faster processing times, so you won’t have to spend hours waiting in a line. If you would like to learn more about the services we offer, contact MVD Express Montana today!